So he can tear steel asunder with his bare hands, but when under a net he needs a child to chew through the rope? 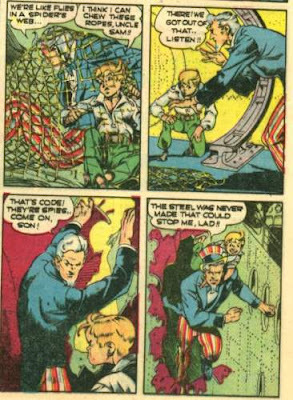 Is Uncle Same just humouring the kid sidekick to make him feel useful. Love the inconsistancy of golden-age comics.